Price: $10 This book explores the unique combination of SAR dog teams and man-trackers, perhaps the most effective tool management has for rapid finds. The book, introduces each resource and discusses their capabilities and limitations. Training steps to better understand and practice working together. "This is the first major effort to promote the effective utilization of two distinct and very specialized SAR resources as a team. In my opinion, the combination of the tracker and canine team has the greatest potential for the quickest and most efficient resolution of a search. This is a giant step forward and long overdue. -- Jim Shaffer, Instructor, National Police Bloodhound Association. "Having worked in this arena, the tactics detailed and depicted in this book work. The book is full of useful, practical information for both sides of the fence. Excellent, to the point, time proven, non bogus information." --Kevin Brewer, Director, SAR Tracking Institute. Just finished Greg Fuller's(et al) book on the (above) subject and I must say that this was an outstanding job accomplished. Long time needed. We have often worked track trained searchers with dog handlers and have had good luck when they click together as a "team". 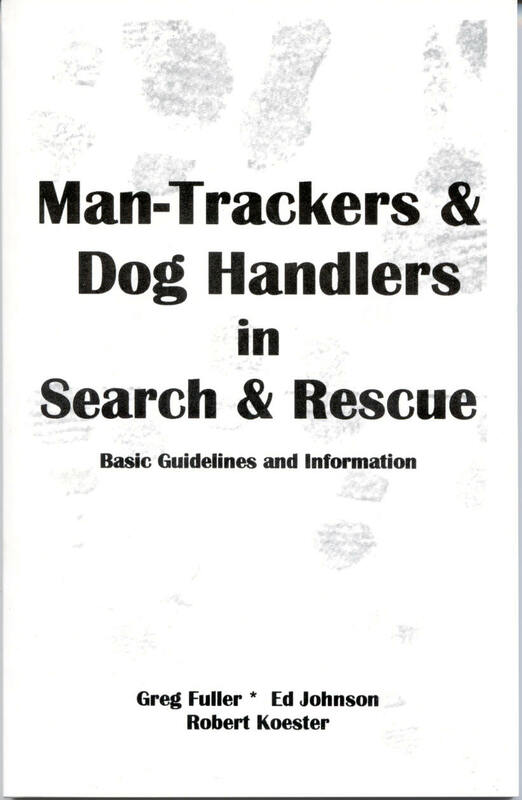 This book helps work your man-trackers and dog handlers toward a search team concept that tends to be missing in todays SAR Unit. Keep your SAR Team, beating the brush and being active "team" members. Help them stay focused on the "team" concept without dividing into "my resource is better than your resource" camps. Allowing us to expose our SAR members to skills and tools that tickle their desire ... to be all that they can be, while avoiding building "empires" of these specialized SAR interests. This book is written to maintaining your SAR "TEAM" to the benefit of the lost subject.